Crush pepper powder, dried red chilli, cumin seed powder, garlic cloves and curry leaves using the small jar of mixer grinder. Transfer it to a bowl. Now puree the tomato to fine paste , transfer to a separate bowl and mix it with the tamarind water .Add salt and turmeric powder to it and mix well. Then add the above crushed ingredients to this and add coriander leaves. Heat a vessel with coconut oil and splutter mustard seed.When done add finely chopped shallots and saute it. Now pour the above prepared ingredients along with 2 cups of water. Mix well and when it starts bubbling , make the flame to medium low and cook for 5 minutes . 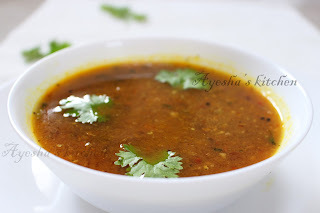 Do not boil RASAM more , as it will loose its flavor. 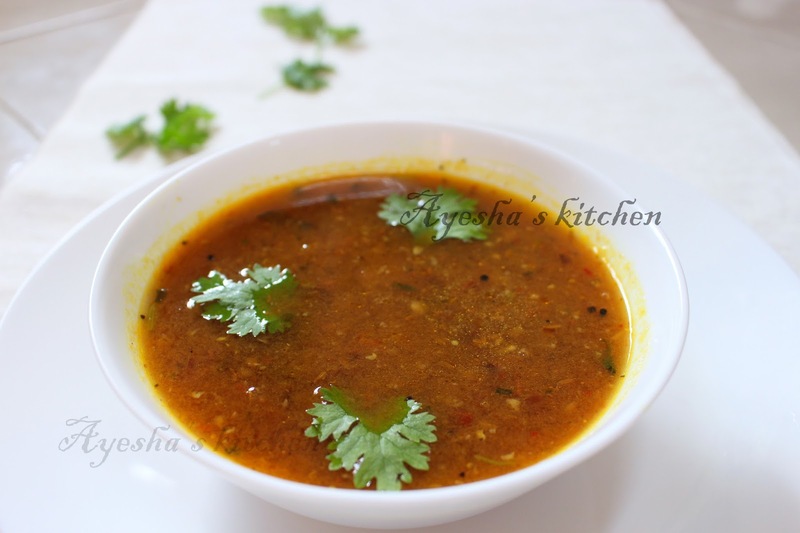 Thakkkaali / Tomato rasam is ready to serve!!!! !